If you are planning to send Birthday Gifts to Dubai this Winter Time look no further. We have got some online birthday gift ideas for him and her. If you’re living in the Middle East you know first hand about our climate, the unbearable heat and the summer suffering. However, you would also know that the winter climates are perfect for outdoor activities. Birthdays are common in the winter months and sending birthday gifts to Dubai can be an arduous task. Luckily, the stars have aligned, much like YouGotaGift.com & the winter months, to bring you some fun online birthday gift ideas. But it gets better, not only does the winter bring bearable weather, but also new years resolutions, new beginnings, and the hopes of change. One of our favorite brands, Zen Yoga, are making the most of the cool winter weather by offering outdoor yoga in the Marina. As well as their Ashtanga, Booty Barre, and Dynamic Vinyasa classes, Zen Yoga has indoor classes for beginners and experts. Maybe you have a friend who’s considering yoga but hasn’t taken that step. Or you don’t know if a loved one would be up for it? YouGotaGift.com offers such a beautiful solution. 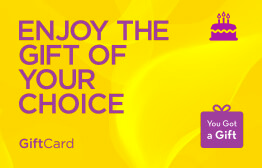 Our eGift Cards gives them the choice as to when to redeem it and what to choose with it. Help them take that step to a healthier and more fulfilling life. Another great activity in the winter months is surfing. Link up with Surf House Dubai for some surfboards, paddleboards, and surfing lessons. The views of the ocean and Dubai skyline at dawn and dusk cannot be replicated. Why don’t you truly embrace the winter period with a group trip to the famous and innovative indoor slope in Ski Dubai? Do some sleighing, meet the penguins, sit in the ice café, or hit the slopes. With the lovely weather outside and the state of the art facilities inside it’s the best of both worlds! 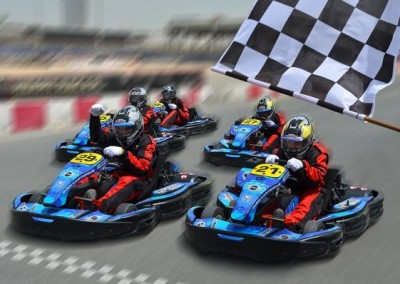 For all the petrol heads, Go Karting at the Autodrome is always a lot of fun and perfect at this time of year. This is the perfect gift for all ages and for all the outdoorsy behavior, Columbia provides great gear. Wintertime is an outdoorsy time in Dubai, a time for midday activities that won’t result in a heat stroke!! An eGift Card to Go Sport can fulfill anyone’s sporting needs from running shoes to kayaks! Give a friend the tools to choose the best sports gear and equipment from international, reputable brands! If none of this appeals to you maybe your friend needs a Musafir.com gift card for a holiday out of this town! Musafir.com provides great deals on both flights and hotels so surprise a friend with a trip today. We hope you have an awesome Dubai winter and make the most of the wonderful weather. This list of our favorite brands should assist in your birthday gift decision-making! Don’t forget, there is no better way to send online birthday gifts to Dubai for kids and children this wintertime than with YouGotaGift.com. We have a wide variety of options for you to select the best Birthday Gifts in Dubai. You can browse though the popular brands and send it very easily by personalizing with video and images. Happy gifting! This entry was posted in Birthday Gifts, Gifts for her, Gifts for him, Gifts for kids/babies, YouGotaGift.com and tagged Birthday Gifts on February 7, 2016 by Renu Shenoy.